Real name Alberto D’ Ascola, the Sicilian with the long dreadlocks is more than just a singer. He’s also a gifted musician, arranger and producer – one who plays virtually everything you hear on his records. A former musical prodigy, he was born in Sicily but relocated to Milan as a teenager where he played in a variety of bands – most notably Reggae National Tickets, who enjoyed popularity throughout Europe during the mid-to-late nineties. As the Millennium approached, the Tickets performed in Jamaica and the island immediately enveloped Alborosie in its spell, prompting him to jump ship and take a job as engineer at Gee Jam studios in Port Antonio – a tropical hideaway on Jamaica’s north coast where Amy Winehouse, No Doubt and many other foreign and local stars liked to record. It was at Gee Jam where Alborosie honed his craft and made the connections that would enable him to become one of reggae music’s biggest names – not through gimmicks, but due to the fact he was making songs of such power and relevance. His breakthrough hits included self-produced songs like “Herbalist,” “Kingston Town” and a cover of Black Uhuru’s “Guess Who’s Coming To Dinner,” which he issued on his own Forward label. All were steeped in old school reggae vibes and inspired by everyday life in Jamaica. A debut album, “Soul Pirate” soon followed and brought him to the attention of Greensleeves, who released his second set, “Escape From Babylon”. Like its predecessor, “Escape From Babylon” was ablaze with old school references. 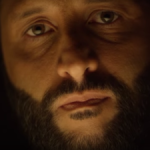 Alborosie says that’s because he was born in the seventies and is therefore “a vintage guy” himself. By his own admission, he identifies more with veterans than younger contemporaries. 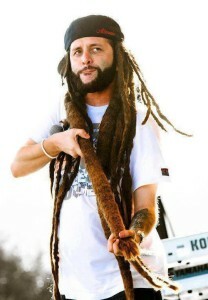 The name ‘Alborosie‘ comes from a name he was given in his early years in Jamaica. “Borosie was what they used to call me. Let me put it like this. My early experience in Jamaica was… not nice. In 2011, he became the first white artist to win the M.O.B.O. (Music of Black Origin) Awards in the Best Reggae Act category. 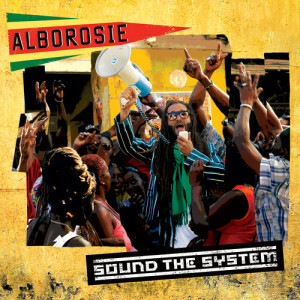 In 2013 Alborosie released “Sound the System” an album produced and recorded entirely by himself, including nearly all of the instrumentation, he takes no shortcuts, pursuing his passion for vintage recording techniques, combining it with genuine scholarly knowledge of reggae and matching it with his own mission as an artist, a Rastaman and a citizen of both Jamaica and the world. The intro to the album is a spoken word message delivered by aRasta elder, and it sets the tone for a record that doesn’t waste any time, it reaches out to fellow artists, asking them to be true to the genre and be themselves. 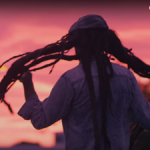 An opportunity to cover Bob Marley & The Wailers is presented when Alborosie teams up with Ky-Mani Marley to record Zion Train, an apropos cover for him as he sees reggae as a mission, and encourages us all to play a part in its success. Another combination is with Nina Zilli, an Italian pop artist that reflects the classic sound of vintage pop in Italy, here Albo and blends it reggae style to produce a heartfelt Goodbye. Alborosie presents an agenda that is authentic in its lyrical delivery and true to his mission as a defender of reggae’s roots and culture. His efforts live up to the name, his intention is clear to sound the system with righteousness. 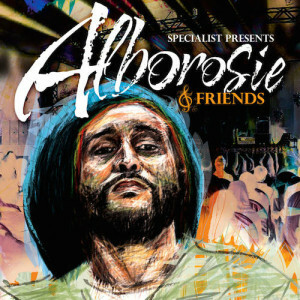 In 2014, Greensleeves Records released “Specialist Presents Alborosie & Friends”, a collection of collaborations with other artists including Michael Rose, Horace Andy, Etana, Busy Signal, Sizzla and fellow European reggae star, Gentleman. home in Jamaica. He describes his own Shengen studio – named after the visa required to visit Europe – as “a museum.” That’s because it’s full of period-piece equipment, including King Tubby’s original two-track tape machine. His enthusiasm for foundation reggae has led to two further incarnations of “Sound The System” as “Sound The System Showcase” a project where he has lovingly reworked the original tunes into full studio 12” versions. Being a huge fan of analogue mixing, he also created “Dub The System” from these sessions. Both projects were also beautifully presented on vinyl. 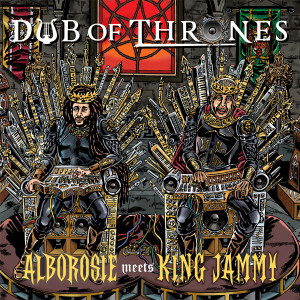 In April of 2015 Alborosie released his current album, “Alborosie Meets King Jammy – Dub Of Thrones”, a historic pairing of one of Jamaica’s most pivotal dub legends King Jammy with the modern day Italian-born dubmaster, Alborosie. The album comes complete with stunning Tony McDermott ‘Game Of Thrones’ inspired artwork. The album includes a fully-illustrated package by Tony McDermott, Greensleeves Records’ go-to artist for almost four decades known for his iconic cartoon imagery depicting Jamaican music. Papa Albo made full use of his analogue armoury clashing head to head with the mighty King Jammy in a “Game of Thrones” themed dub summit. 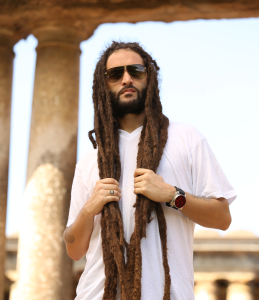 Alborosie is currently working on a new album due to be released in early 2016. Two tracks from this forthcoming album, “Poser” and “Rocky Road” have been receiving positive feedback for both their audio and video. With a full tour schedule every Summer since 2007, covering all major Reggae and World Music Festivals, Alborosie and The Shengen Clan Band which consists of Jamaican musicians, has been traveling the four corners of the earth spreading reggae music to nations. Alborosie will be appearing at the Garage, Highbury Corner Thursday 13 August 2015 Alborosie is available for media and interviews, please contact Sarah at VP.